We live in a complicated world today. We are constantly on a lookout for things to spend our money on, gadgets that could improve our health, etc, but have forgotten about the intelligence and beauty of nature and our own body. Nature has given us everything we need to maintain good health – immune system, vital organs and something as basic as CHEWING. 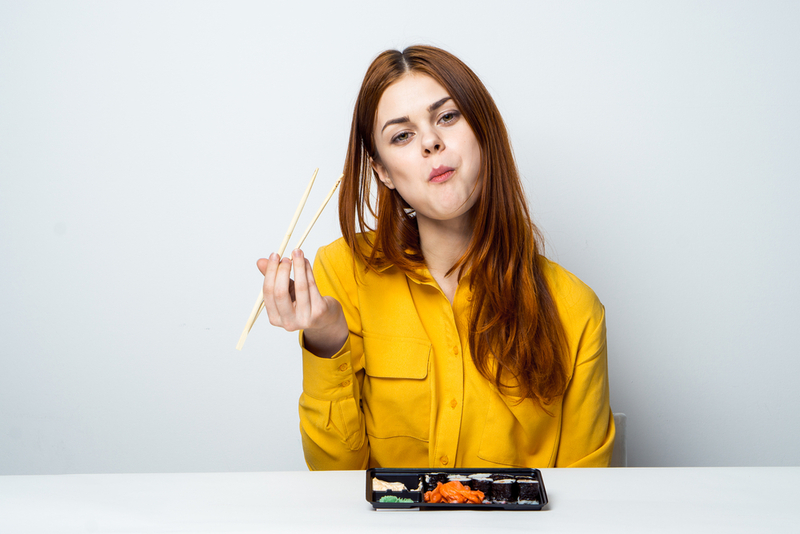 Chewing our food well is perhaps a lifestyle change that each of us can start doing right now because it does have a positive impact on your digestion – be it indigestion, burping, belching, flatulence, gas, acidity. A fast-paced eater maybe able to connect to this more! Everything in the human body depends on the food you feed it and its digestion. Its what nourishes and provides energy to all of your cells. Most of us think that digestion starts in the stomach, but it actually starts in our mouth. The moment food is placed in front of you, its images signals your brain and moves you from sympathetic to parasympathetic nervous system. The moment you smell food (which is why food should be appetising and aromatic), you start generating saliva even before taking the first bite. Try it: Close your eyes and think of your favourite food. You will automatically start to salivate! Now there’s a reason for this. Saliva aids digestion. Hence the more we chew our food, the more we use our teeth to breakdown food, the more time food is in our mouth, the more it mixes with saliva and more enhanced is our digestion. Saliva has two main enzymes: Amylase & Lipase. These are enzymes that aid digestion of carbohydrates and fats in our mouth. So ideally, one shouldn’t be scared of these macronutrients (unless the wrong quality) if they can spend some time chewing well! The more you chew and break down food, the more you spend time mixing your saliva with your food before swallowing, the more you digest these carbohydrates and proteins.The action of chewing and producing saliva also signals oesophagus, stomach to start the production of acids and other enzymes which now complete the digestion of carbohydrates and proteins and begin the digestion of protein simultaneously. So, digestion means even absorbing and assimilating the food well. There are so many people who eat healthy but still look malnourished, have vitamin deficiencies, complain about hair fall, poor skin, arthritic pains. This is because, nutrition is beyond what you eat. Its about how the food you get gets absorbed and assimilated and that in turn depends on how well you chew your food. What happens when we eat too quickly? When we eat our food too quickly, we fail to use our teeth to breakdown food into smaller particles and send partially digested and larger chunks of food into our stomach. This leads to our stomach producing more acid and enzymes to breakdown food that our mouth must have done. This paves way for acidity and indigestion. Furthermore, these undigested pieces of food further travel down to our small intestine. These pieces of food irritate the mucosal linings of the intestine causing gut inflammation, bloating, more acidity and upset the gut microbiome. Ever experienced bloating after eating a heavy meal too quickly? That’s bad gut bacteria behaving the wrong way and trapped gases just because you eat too quick and did not chew. Not only is our saliva alkaline in nature, when we chew food properly it helps breakdown food in smaller particle and this enables the right amount of acid production. Not too less and not too more. When you eat too quick, you don’t chew food the right way and tend to consume more food. Doesn’t matter whether the food is healthy or unhealthy, overeating is one of the most common causes of being overweight. Even if you overeat a salad, your body will only use how much it needs. Excess of what we eat gets stored as fat. Furthermore, overeating doesn’t only mean adding more calories into your system, it’s also means upsetting your blood sugar levels. The more you eat, the more insulin your body produces because of the rising blood sugars. Thus, for diabetics, its even more important to slow down and chew food properly. Humans can be in either of the two states: Sympathetic: Stress mode and Parasympathetic: Rest and Digest mode. If we are eating in a sympathetic nervous system, our blood pressure, blood sugar levels are automatically going to be high because cortisol levels are high and thus, we fail to assimilate food too. This is also why those who eat fast or under stressed states usually complain of acidity, bloating, indigestion. Chewing, especially when it’s a dessert or fried food is especially helpful because not only will you enjoy desserts in a better way but you also enable better digestion. The whole idea of enjoying food and being a foodie is to savour what you eat. In order to create a bond between taste and fragrance, one has to eat slow. Each of us need to teach our children to chew well and the reasons behind it at a very young age. These are life lessons for our children. There is no point in telling them not to eat junk. While it may be a great advice, the whole idea is to teach them how to human body functions first. Teach them the role of their teeth, how digestion works, etc. Once these messages get into their subconscious its easier for them to inculcate these habits. They may still continue to eat fast, but your teachings will always remain embedded in their subconscious. They start thinking with logic and eventually start doing it. It gets even easier if they see their parents doing it because parents lead by example. If they see parents eating with cell phones in hand or with the television switched on, then they will learn exactly what they see. So, chewing is a habit to be taught to ourselves as well as our children. What does it take to develop a habit of chewing? Dedication, Discipline, Commitment and Practice. The more you practice, the better you get at it. Start with one meal if not all because if you are used to eating too fast, it will be difficult for you to slow down. Mindfully eat with no cell phones, television or talking. You sit with your food. Bless your food and express gratitude. Take 6 deep breaths so that you move from sympathetic nervous system to a parasympathetic state and start eating one bite at a time. Chew every morsel so well that it becomes pasty enough to swallow and then take the next bite. Do not rush. Now practice, practice, practice – until it becomes a ritual and habit. That’s how you master the art of chewing. A lot of people may find this a waste of time and may think that we rather eat quick and get our tasks/meetings done. Well, I haven’t seen a single successful person in the world who made a billion dollars by eating their meals quickly. These are all mind-sets. You rather try to save the time that you spend on social media and other unproductive work and give more time to your meals. Adding 5-10 mins more to your mealtime is not going to change the way you are successful in life, business or relationships. What it will change is your digestive health – which is everything when it comes to prevention and healing. So, no matter how busy you are or what position you hold, chewing your food well is basic. As long as you have teeth in your mouth, you can do this. Teach the art of chewing to your children as well. Involve your entire family in chewing. When you involve the entire family, you turn it into a rule and everyone starts respecting mealtimes. Meal time is a sacred time. When we eat it without intent and gratitude, it doesn’t work for our body, but by offering gratitude, prayer and respect, we change the entire energy of the food. This is your medicine. This lifestyle change is free but that’s not all. It does require dedication, commitment and discipline to be able to bring about the change you desire.